Hermiston School District has received the 2017-2018 student achievement results, as released by Oregon Department of Education. Annually, the Smarter-Balanced assessment is administered in English language arts and mathematics, and science is administered through the OAKS (Oregon Assessment of Knowledge and Skills) assessment. 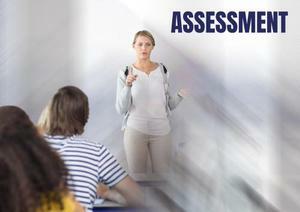 The Smarter-Balanced Assessment is administered to grades 3-8 and grade 11 in both English language arts and mathematics. Grades 5, 8, & 11 are administered the OAKS in science. State assessment data shows nearly 55 percent of all assessed students met the proficiency standard for their grade level in English language arts and almost 41 percent in mathematics. Proficiency in the Science assessment was 62 percent. At the elementary level for grades 3-5, 51 percent of all Hermiston students met the proficiency standard in English language arts, while 51 percent were proficient on the mathematics assessment. Sixty-three percent of fifth-grade students showed proficiency on the Science assessment. At the middle school level for grades 6-8, 56 percent met the proficiency standard in English language arts and 41 percent of all Hermiston middle school students met the proficiency standard in mathematics. Seventy-nine percent of the 8th-grade students showed proficiency on the science assessment. At Hermiston High School, the district saw an increase in student achievement for both English language arts and mathematics for the third consecutive year. Students and families of current 4-9 and 12th graders will have access to individual student reports later this fall. Each student will receive a report for language arts and mathematics explaining the achievement score, along with strengths and weaknesses. Hermiston School District has a focused strategic plan that promotes high levels of collaboration and increased academic rigor, as it serves students based on their strengths and needs. This strategic focus aligns finances and personnel resources to improve curriculum materials, enhance technology and refine instructional practices. The plan also has a component identifying “high levels of family and community partnerships” in order to bring families and educators together to collaboratively work in supporting student achievement. As a parent and partner in a student’s education, the district encourages parents to discuss any questions they may have about their student’s achievement with the student’s teacher(s). Parents are also encouraged to learn how the parents can support a student’s learning at home.